The kitchen is the heart of every home and as such we at Precision appreciate that it must be just right. If your kitchen is not to your taste, lacking storage, needing modernisation then Precision can help you with all of these. Even if you would like it extended then we can take on the whole job from start to finish. So all you have to do is tell us what you would like. Bespoke Kitchen - What better way is there for you to have exactly what you are looking for than designing your own bespoke kitchen and amalgamating all your favourite kitchen designs into one? 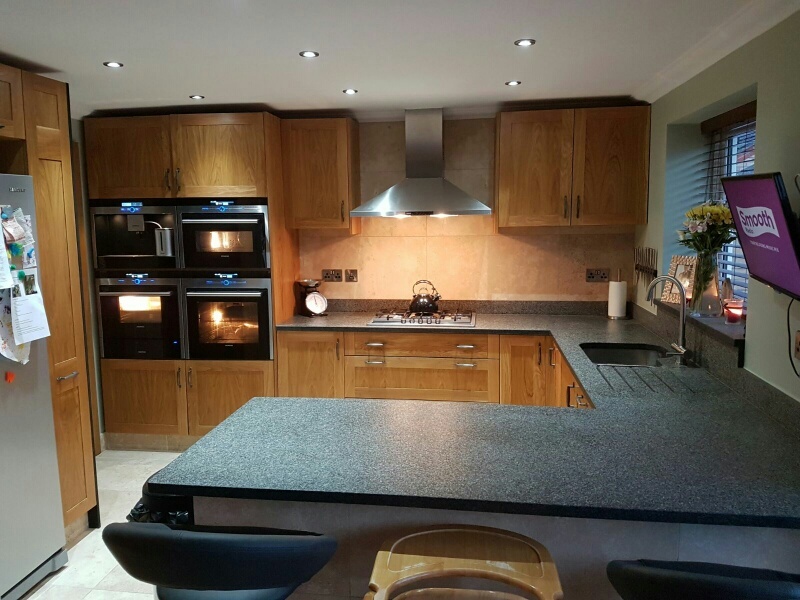 You can use the materials of your choice for the doors, carcasses or worktops and have it finished to what ever colour and finish you would like; from high gloss to waxed oak we can make your dream a reality. Installation - Not all budgets allow for a bespoke kitchen, Precision are also more than happy to assist you in the fitting of a high street off the shelf kitchen. When it comes to buying one of these kitchens the fitting is the most essential part, if fitted right then it will look more like a bespoke kitchen.